“Like ‘A Earthquake. '” Hand and machine embroidery on fabric. 2012. 2.25″ x 3.5″. 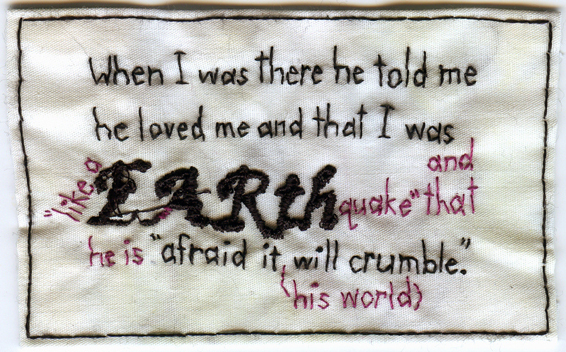 Borrowed text/ embroidered confession.